Welcome Home! 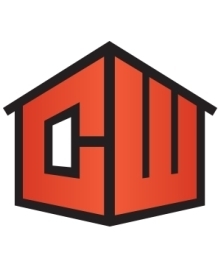 The Charlie Wills Team is a group of professionals that specialize in guiding our clients through the home buying and selling process. We work to ensure the smoothest, most helpful and best experience you could receive from a real estate agent. We want to make connections and help people because this is a SERVICE business and we always serve our clients to the highest degree. We are here to educate, guide, and advise, while working behind the scenes to navigate the emotional rollercoaster of home sales, so that you don't have to. In addition to personalized service, we set ourselves apart by utilizing the latest technology and marketing initiative to ensure each transaction is smooth and streamlined. Our vision: Change real estate and our community through service, mentoring and building life-long relationships. Welcome to my passion! Having over 15 year experience as Your Badger Real Estate Agent, my number one priority is helping you establish and accomplish your real estate goals. As a UW Alum and former Badger Athlete, I have a love of Wisconsin that runs deep and am proud to help my clients find their forever home, starter home, hunting land, business storefront, family cabin, investment property and so much more!